Surprise, surprise, life has been busy!! I didn’t get to do this post last week because I was hosting an English/Russian/German themed Exposure inspired book club. As usual it was a fantabulous night of laughs and food! Since then life has been all a-go. A friend come out the following day, after I’d already done a load of dishes sadly, but I did get her to supervise while I worked on clearing out one room and moving a bookshelf in from another room. Friday I somehow crammed in three clients before the three hour drive to our city to start a weekend intensive on Emotion Focused Therapy. It was a full on few days, spent fortunately with lovely people. I would love to give you a blurb on EFT, but that would require more brain power than I have available to me at the moment, if anyone already knows about it, would love your thoughts!! Seems to involve some confronting but powerful techniques. I then made a quick trip up into the Hills to make an appearance at my cousin’s post wedding party. Just lovely to spend an hour catching up with family before the drive home this time with my family (and experimenting the back roads!). Would have been lovely to relax then on monday but Hubby and I took our puppy back to the surgeon for a 4 week check up and left him there for another surgery 😦 He will be on even stricter bed rest this time – eeek. Thereafter I’ve had chauffering, household chores, meetings, appointments and work. 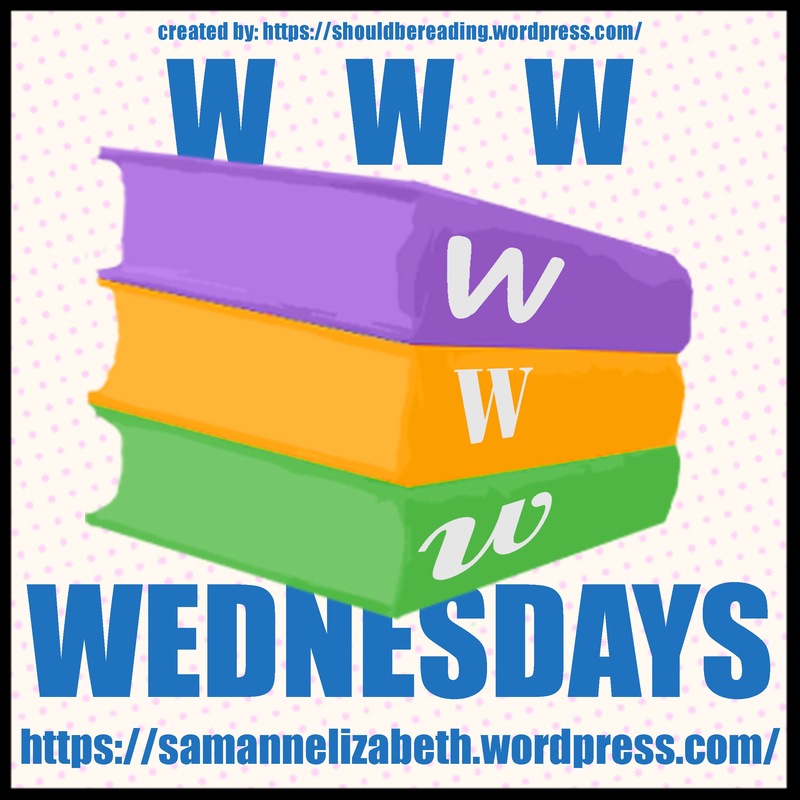 Tomorrow I’ve got the 5 hour round trip to pick up puppy again…..
And then we have reading 🙂 Following Sam’s meme hosted at Taking on a World of Words. Anyone can participate. All you’ve got to do is answer the three Ws below and post a link to your answers here. Currently reading: Still trying to read Committed, little by little. Havn’t made time for anything else though. ps I really really need to be spending time planning my son’s 4th birthday next week…. Finished reading: Exposure by Helen Dunmore and about time too. Chose this as my book club pick and the girls are all due at my place next Wednesday! I enjoyed this book set during the cold war in England. The author explored so much in what was a somewhat slow paced book packed however with increasing tension, it really was fantastically written. One quote I particularly like was ‘The children a phalanx around their mother’. It’s almost impossible to write a short blurb for this one that doesn’t make it sound as if it’s a spy thriller, and in many ways it is. But mostly what it is is a set of brilliant character studies showing the impact of this event on the lives of all those involved…. it’s an entirely credible portrayal of a fictionalised version of the Cambridge spy ring and its association with homosexuality, at that period of the 1950s and early ’60s still a crime, and enough to destroy a man’s career and even life, if exposed….The writing is excellent, quickly building up a tense atmosphere of secrecy and suspicion. The book is written in third person, allowing the reader to get inside the head of each of the major characters in turn. …But what really makes this book stand out from the crowd is the inclusion of Simon’s wife and family. I would definitely like to read another Helen Dunmore book in the future. Currently reading: I started Committed by Elizabeth Gilbert but found her ‘voice’ annoying me so not sure if I’ll stick with it. I enjoyed Eat, Love, Pray but did find it flawed – pretentiousness of the author is already grating on me. Not to mention I’m feeling pretty dismal about my marriage at the moment…. Reading next: If I’m feeling like working on the marriage thing I might try Wild at Heart and Captivating by John and Stasi Eldredge but I think I’m more likely to get into Big Little Lies by Liane Moriarty, a Christmas gift. I was also reminded I still have Constance Hall’s book, might just return that one. In addition I believe I’ve found the next title for my When Are You Reading Challenge from the movie review in my church magazine, stay tuned!